Click on above images to enlarge. Engine Displacement – 5.3L/325 cu. in. Engine Displacement – 6.2L/376 cu. in. 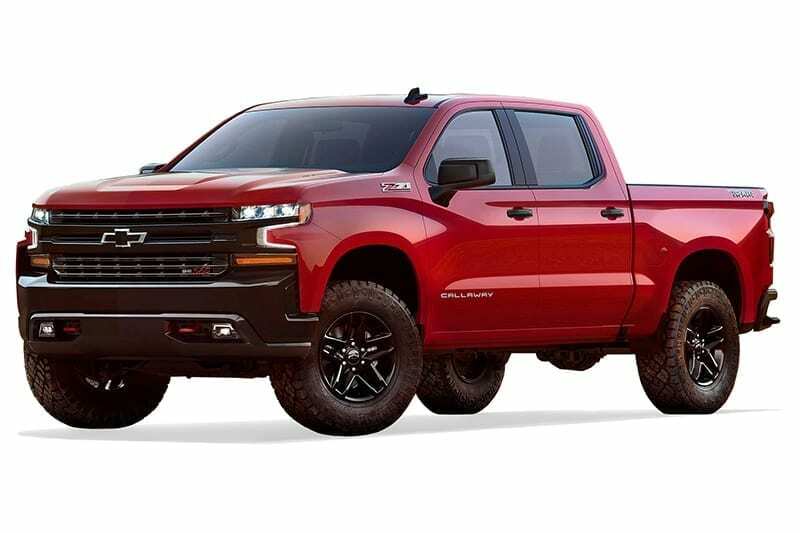 The Callaway Silverado and Sierra are specialist versions based on General Motors’ GMT K2XX platform. 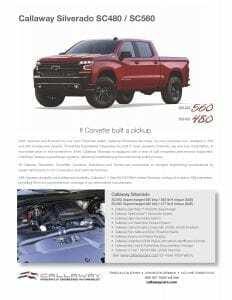 The trucks may be equipped with two-wheel-drive or four-wheel-drive, with any Chevrolet or GMC equipment group, any cab style (regular, double or crew) and any box length (short, standard or long). Callaway Silverados and Sierras deliver breathtaking power and stump-pulling torque with perfect drivability and bulletproof durability. New SC480 and SC560 SportTrucks are equipped with Callaway’s GenThree™ supercharger system, delivering more power than ever! Click here for more GenThree™ supercharger information. These limited production trucks are built with a full complement of Callaway standard equipment and available options as listed below. 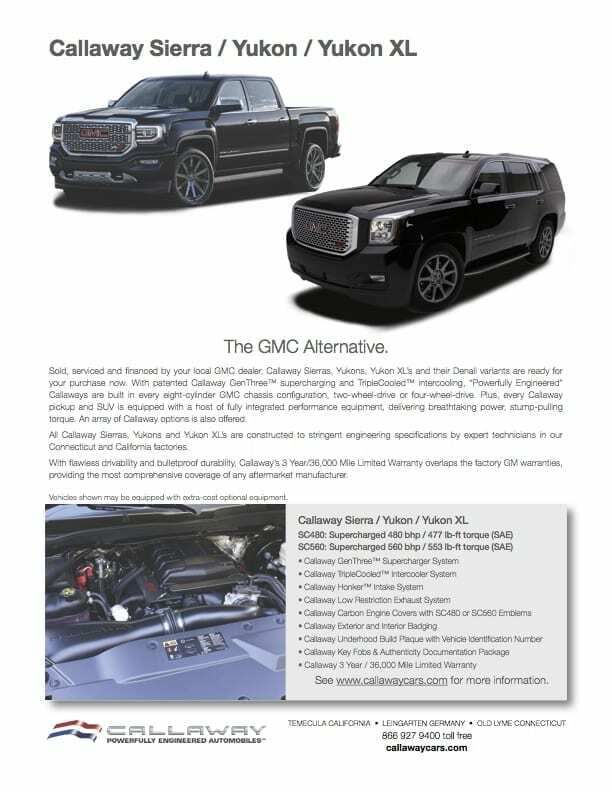 Callaway’s 3 year/36,000 mile Warranty supplements the GM Bumper-to-Bumper Warranty, providing the best coverage of any aftermarket manufacturer. Callaway Silverados and Sierras are assembled to stringent engineering specifications by expert technicians exclusively at Callaway factories in Old Lyme, Connecticut, and Temecula, California. Click on image to view full size, print or download. Callaway offers the most comprehensive aftermarket warranty in the industry. Overlapping the factory GM warranty, Callaway covers all Callaway components and GM components that are affected by Callaway components. 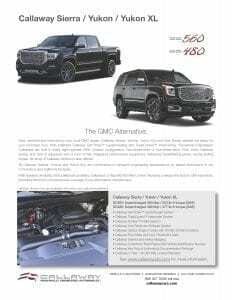 GM dealers do not block factory warranty on Callaway Silverados or Sierras; they perform maintenance and warranty repairs with support from Callaway Cars. Call Callaway Cars at (860) 434-9002 or click the red button below. We’ll start the process by providing information and answering your questions. Take a test drive at your local Authorized Callaway Dealer. Finalize your order with the Callaway Specialist at the Dealer. You can purchase a Callaway Silverado or Sierra from Authorized Callaway Dealer inventory or from a new build order. If there is no Authorized Callaway Dealer near you, Callaway staff can work with your local Chevrolet or GMC dealer to facilitate your purchase and arrange delivery. 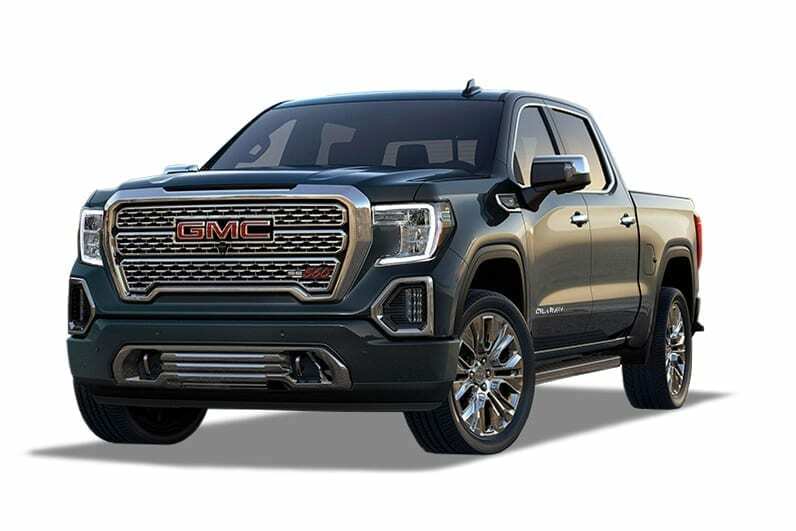 Your vehicle will be built at General Motors’ factories, then drop-shipped by GM to either our Connecticut or California plant for final assembly. At completion of the build, you may choose delivery at your Chevrolet or GMC dealer or at either Callaway facility.